I explore every opportunity of celebrating different recipes of fish. The fish curry in my plate holds equal significance as compared to the fried fish. They fascinate me in all their forms, in all sizes and in all shapes. I, however, have to admit that some of specific varieties are my favorites and I would like to see them more often in my plate than others. 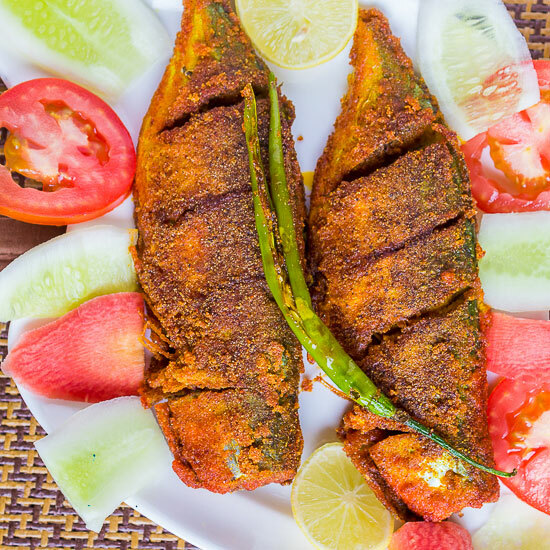 Indian Mackerel or more commonly known as Bangda in Maharashtra is one such species of fish that I typically prefer over others. After marriage when I unearthed that my better half had an aversion towards Bangda I was startled. For him sea food was centered around prawns, he would have prawns curry, prawns sukka, tandoori prawns and would proudly claim to know much about sea food. I had a tough days lying ahead, in which I had to break his myth about sea food and do something to rid him off his aversion for other fishes. 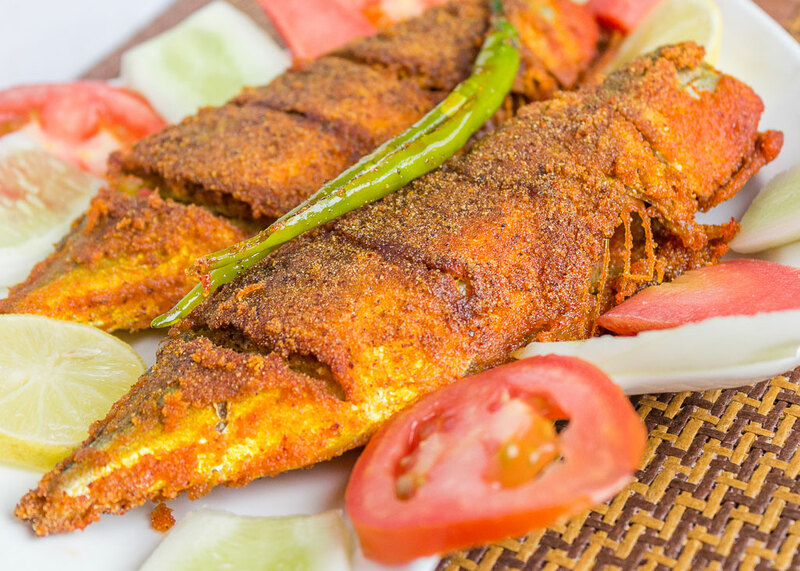 I started with Surmai (Seer fish), which is less bony than other species, and would get them cut into fillets and fry them to make Surmai Tawa Fry. Gradually he started appreciating those fried fillets served on his plate, and then I started introducing other fishes too. I brought in Black Pomfret (Halwa), Bombay duck (Bombil) and others. However, he had a deep aversion towards Indian Mackerel due to couple of reasons like, it being a bony fish, and second he seemed to dislike its smell. I approached him with a bargain, I told him I would fix these issues for him and present the fish in form he never had before. That seemed to have done the trick, and he agreed to try out Bangda. I thought it would be a little adventurous to play with his palate with Bangda curry (which I must confess is my personal favorite), so I decided to serve him this fish stuffed and fried, and it did impress him, so much so that he wanted me to prepare the same recipe for next few weekends until he said he was ready to try out Bangda served in other forms. First and foremost fish must be fresh and this applies for any recipe of sea food. Second point is making appropriate cuts on fish is must for recipe. You must see the video embedded in this post for how the gashes and a pocket must be made. Any goof up in creating the pocket can ruin the dish, as stuffing would not hold up inside the fish and would flow out. So I would suggest to see the video below for more clarity. 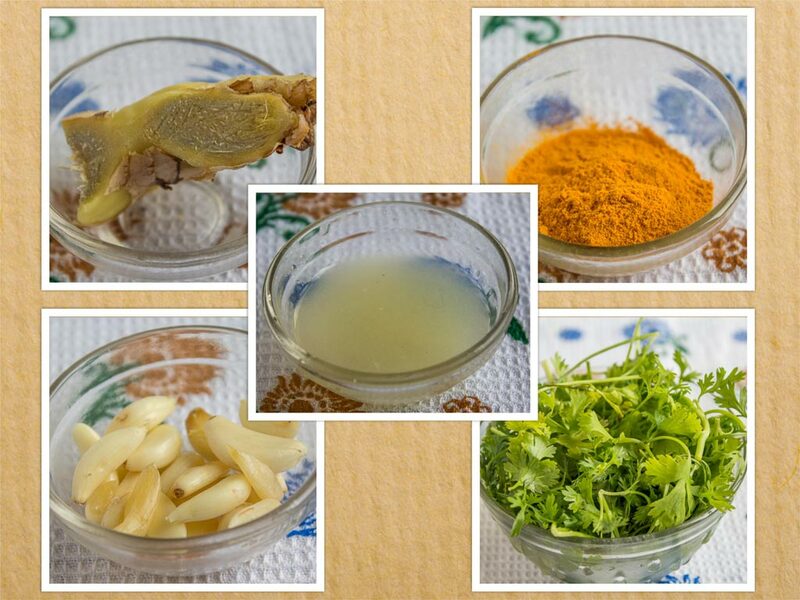 To start with fish is marinated with a mixture of turmeric powder, salt, lime juice which also helps to get rid of that “smelly fish” if your nose is too sensitive. A green paste is created meanwhile, which is used to stuff inside the fish. You can tamper the spice levels of this paste by adding or reducing the chilies. Be careful with water content while you grind the masala paste. We would not want the paste to be too watery as it would not hold up inside the pockets then and also don’t overstuff the pocket. 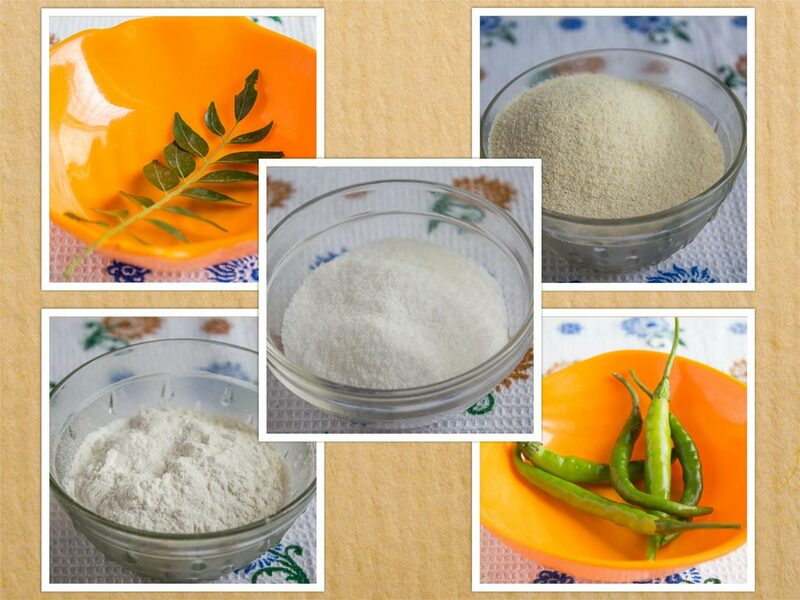 Finally, a dry batter is created with semolina, rice flour and it gets seasoned with red chili powder and salt. Stuffed fish is then coated in the batter and shallow fried till it turns crisp from both sides. 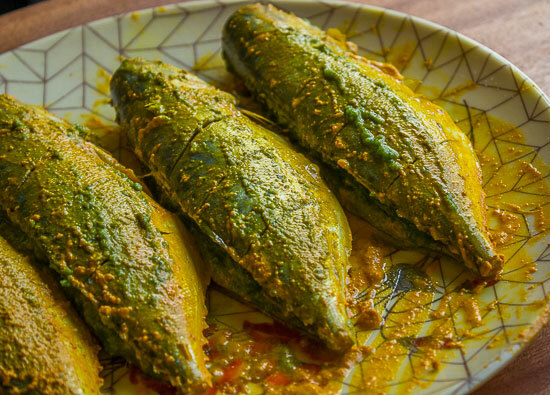 Stuffed Bangda Fry is a delicious party starter for your guests if they would love to start with some crisp coated and stuffed with spicy masala Bangda fry. 4 Bangda fish (Indian Mackerel). Make 3-4 gashes on top surface of the fish and a pocket cut at sides. Let's start with marination.Put turmeric powder, 1 tsp salt, lime juice. Apply them on the fish from all sides.Let them rest for 15 minutes. Put coriander leaves in a grinder jar. Add curry leaves, green chilies,garlic, ginger slices, ½ tsp salt. Add water and form a thick and fine paste. After Fish has been marinated for 15 minutes, Let's stuff the fish with the green masala. Fill the pockets with the green masala. Ensure that the green paste is not watery. Do not over stuff the fish pockets. Refrigerate fish for 30 minutes. 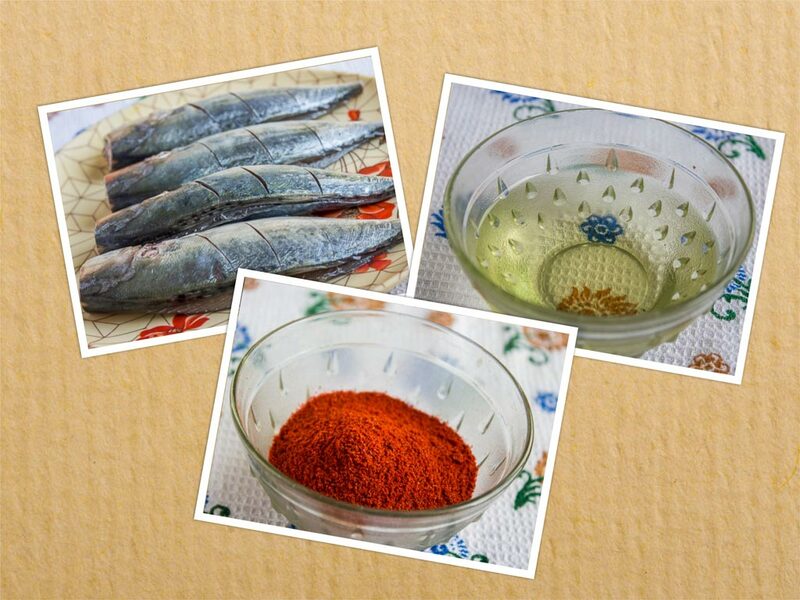 After 30 minutes,take fish out from refrigerator and prepare a dry mixture for coating the fish. Meanwhile heat 3 tbsp oil in a pan for shallow frying.Coat the fish from all sides. Fry the fish on low flame on each side till it becomes crisp. After 4 minutes, flip over to fry fish from other side. Fry till crisp. 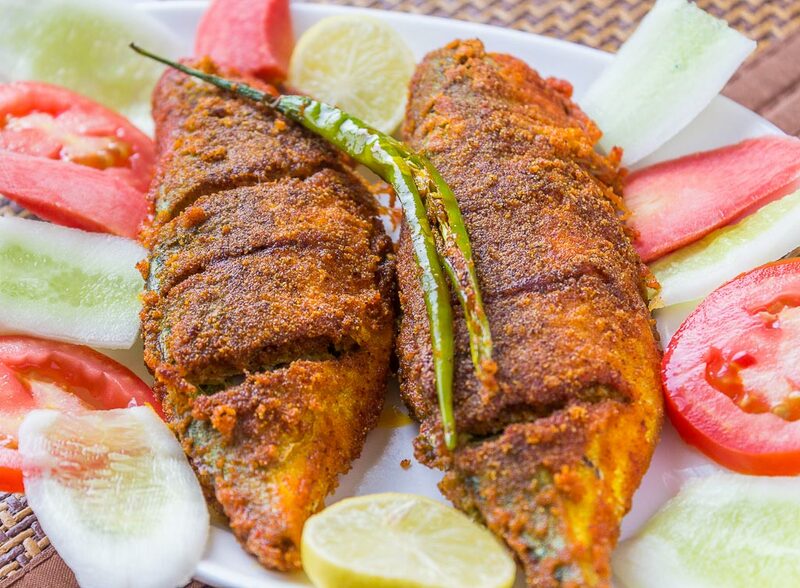 Prepare this delicious stuffed Bangda fry as starter for parties. First time posting a comment on any foodblog: The explanation given and the ideas behind it deserves a standing ovation. Hey Kritish thanks for stopping by and posting your invaluable comment ! Love to read that you liked the recipe and moreover I appreciate you spending your precious time to write down your thoughts! Thanks a lot my dear reader , Happy reading, enjoy cooking! Hey Suma thanks for stopping by and posting your invaluable comment ! Love to read that you liked the recipe! Happy reading, enjoy cooking!